If you are searching for the best annuity rates in 2019, you’ve come to the right place. At Annuity Watch USA, we have access to the best annuity rates from top-rated providers nationwide. We often get the question, what are the best annuity rates? Well, the answer is a bit more complicated than that. Getting the best rates differs from one person to the next. Everyone’s retirement needs and plans are not the same and therefore, there is no one-size-fits-all when it comes to annuities either. First, let’s take a look at the types of annuities – immediate, fixed, variable, and fixed index annuities. Immediate Annuity – Immediate annuities are the simplest type of annuities. You give the insurance company a sum of money, the premium, and they give you a payout each month for the rest of your life. The amount of the payout is calculated by the insurance company based on your age, your life expectancy, and the amount of the premium. It is also common to select a fixed payout period of say 10 to 15 years. It could be said that the insurance company is betting that you will die soon since at that time the payouts stop. While you, on the other hand, are betting you will receive payments over the entire payout period or over a very long life if you have purchased a lifetime policy. Rates for immediate annuities are based upon multiple factors including age, gender, initial premium, and payout type. For more see Understanding Immediate Annuities. Fixed Annuity – A fixed annuity is a contract between you and an insurance company. You pay the insurance company, through an agent, a premium that grows tax deferred over time by an interest rate determined by the contract. At some specified point in time you receive regular payments from the insurance company. Rates for fixed annuities will also vary based on a number of factors including premiums paid in, surrender period, types of riders included, and various other variables. For more see Understanding Fixed Annuities. Variable Annuity – A variable annuity is a contract between you and an insurance company. You purchase a variable annuity by making either a single or series of purchase payments after which the insurer agrees to make periodic payments to you, beginning either immediately or at some future time. The value of your investment will vary depending on the performance of the investment options you choose. The investment options for a variable annuity are typically mutual funds that invest in stocks, bonds, money market instruments, or some combination of the three. For more see Understanding Variable Annuities. Fixed Index Annuity – A fixed index annuity (FIA) is a contract between you and an insurance company designed to help you achieve your long-term retirement goals. In exchange for your premium payment, the insurance company provides you income starting at some time in the future. The major benefits of an FIA are that the principle and credited interest accumulate by benefiting from stock market gains but are protected against market losses. In addition, any earnings are tax deferred, and they can provide lifetime income to you and your beneficiaries guaranteed by the insurance company. For more see Understanding Fixed Index Annuities. Typical annuity rates are described by the annual payout rate as a percentage of the total premium. For example, an annuity may provide a monthly payout rate of $208.33 for an annuity contract that cost $50,000 at the outset. The annual payout rate would be $2,500 per year which is 5.00% of the $50,000 purchase price of the annuity contract. Therefore, this annuity has a payout rate of 5.00%. Typical rates for annuities also vary depending on the type of annuity and the length of deferral. For example, an annuity might have a 4.0% payout rate after a 7 year deferral, but go up to a 4.6% payout rate after 10 years. Usually, the longer the deferral period, the higher the payout rate. As you begin to understand the types of annuities, the annuity rate tables will start to make a lot more sense. You’ll be able to compare similar annuities and the various options available in order to choose the right annuity for you. To view our current annuity rate tables, simply fill out the form on this page and we will provide you with the most current information. It is also wise when purchasing an annuity to compare annuity providers. Annuity product guarantees rely on the financial strength and claims-paying ability of the issuing insurer, so it is good to know about the company you are purchasing from. Annuities are issued by insurance companies such as Allstate, American National Insurance Company, Fidelity, Genworth, ING, John Hancock, Lincoln Financial Group, MetLife, Mutual of Omaha, New York Life, Pacific Life, Prudential, and a host of additional insurance companies. A good question to ask is “what is the financial strength of the company?” A.M. Best, Fitch, Moody’s, and Standard & Poor’s provide ratings of the financial strength of companies that provide annuities. Do your homework and make sure that the insurance company you are purchasing your annuity from is financially sound. At Annuity Watch USA, we fully understand your need to research annuity providers, so we’ve put together some great tools to help you compare annuity companies and make the best choice possible for your annuity purchase. Another useful tool when comparing annuity providers is the Better Business Bureau. What is the company’s rating? Does the company have too many unresolved complaints? Does the company have any reviews by customers? These are just a few questions to ask as part of the process of comparing annuity providers. 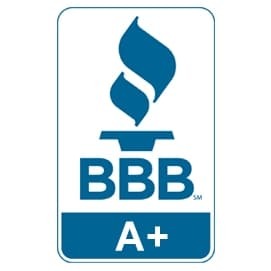 Note that the parent company of Annuity Watch USA, DeWitt & Dunn LLC, has an A+ Rating by the Better Business Bureau. Let Annuity Watch USA help you compare the best annuity rates in 2019. Simply fill out the form on this page and we’ll take care of the rest. We can help find the right annuity for your unique situation. We look forward to serving you!